G.I. 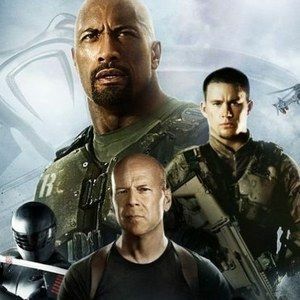 Joe Retaliation was barging full-steam towards its summer 2012 release date when Paramount Pictures pulled the plug, deciding that this anticipated sequel would fare better in 3D. At the time, plenty of posters and photos had already been released, and the toys had even found their way into a few stores. Now, with a March release date looming, Paramount has to kick start it's promotional run all over-again. And it doesn't look much different than the first time around, with the film being rebranded as G.I. Joe Retaliation 3D, and Channing Tatum taking a more prominent role at the forefront of the action. We'll forgive you if you get a sense of déjà vu looking at this latest international one-sheet, or if you were under the impression that this sequel came and went without much fanfare.